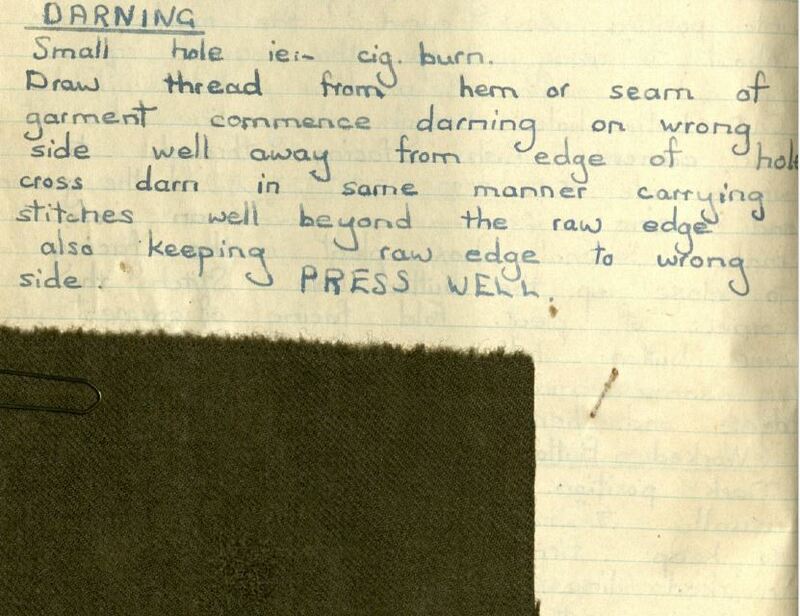 On 17 September I’ll be running a very special darning workshop at The Keep, Brighton. The Keep is a centre for archives that opens up access to all the collections of the East Sussex Record Office (ESRO), the Royal Pavilion & Museums Local History Collections and the internationally significant University of Sussex Special Collections, including the Mass Observation Archives. Having all these collections in one place makes it easy to find some interesting cross-collection links. For instance, at The Keep you can find copies of women’s magazines such as Woman’s Own (a weekly publication first published in 1932 and still going strong) and Woman’s Journal (published monthly from 1927 to 2001). Woman’s Own was aimed at a different kind of woman than Woman’s Journal. This is not only evident on the front cover: Woman’s Own usually shows a child or a woman, often actively occupied with something or other. Woman’s Journal, on the other hand, has portraits of upper class ladies, wearing a ball-gown or other fancy outfit. The Second World War saw unprecedented government intervention into everyday life on the British home front. Food rationing began in 1940 and clothes were rationed from 1 June 1941. Fabric was essential for war purposes, such as uniforms. By reducing civilian clothing production, factory space and labour could be freed up for war production. Rationing forced people to be painfully mathematic in how they spent their limited supply of clothing coupons – and to find shrewd ways to avoid doing so. 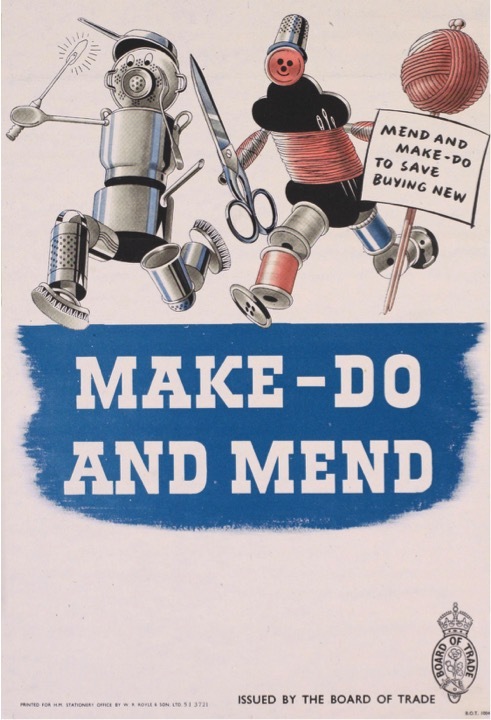 The government-backed ‘Make Do and Mend’ scheme was introduced to encourage people to revive and repair worn-out clothes. 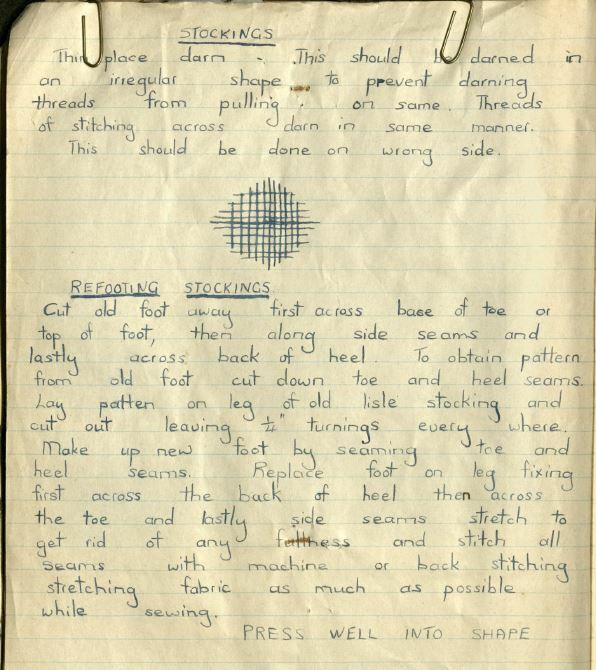 Handmade and hand-repaired clothing became an essential part of wartime life. People got creative across the country out of necessity, finding ways to make and care for clothes – and forge their own wartime style. This governmental intervention was subtly visible in these magazines, to a greater or lesser degree: although both had sections on making accessories, sewing, knitting, and crocheting, Woman’s Journal also featured a monthly spread on the latest fashions from Paris. In contrast, Woman’s Own would often highlight how many, or rather, how few coupons were needed for the materials required for a particular project. 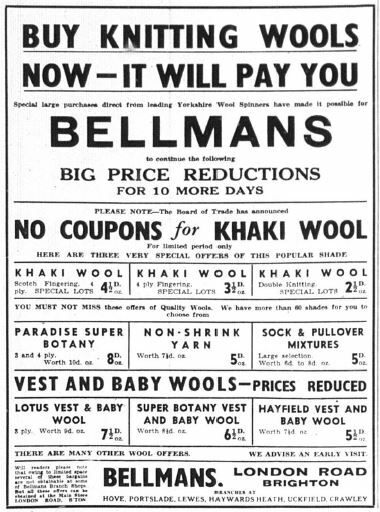 Adverts from yarn companies (and you’ll find more of these in Woman’s Own than in Woman’s Journal) will, as less and less yarn becomes available for the domestic market, acknowledge that their yarns may be difficult to get hold of, but if you can, they’re worth buying. From a Lavenda advert from November 1943: “pure wool can and should be used over and over again.” Magazines have articles on how to re-use wool, and patterns start accommodating for having fewer resources: many items have shorter sleeves, v-necks (both save on yarn), use fewer buttons, or have yarn-saving stitch patterns: open-work inserts (lace stitches require less wool per area than textured stitches) or Fair Isle patterns, so you can use up odds and ends. I hope you will join me at my darning workshop at The Keep on 17 September, as it will give you a unique chance to see the some of these magazines and archived objects all gathered together especially for the occasion. Fiona Courage, Special Collections Manager and Mass Observation Curator (Library), will give an introduction to The Keep, and be at hand to answer any questions you may have about items on display. Read more here about my workshop at The Keep, or, if you simply can’t wait to book a place, please call 01273 482349. Sounds excellent. Wish I could make it, but even though I’m on holiday a bit nearer there than home, still too far.